We’ll post project videos and other materials to help our community better understand our plans for Shoreline Place. We hired HEWITT, landscape architects responsible for the beloved University Village outdoor experience, to incorporate more outdoor plaza and green space throughout all phases of development. Released March 13, 2019. 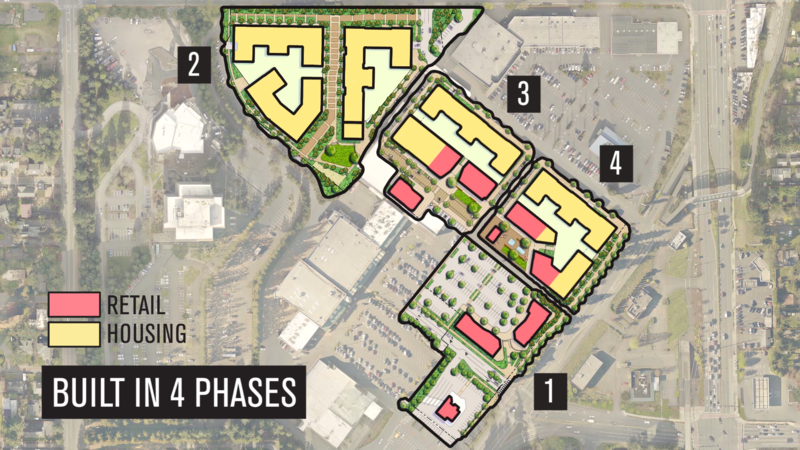 The updated Site Plan provides more open space in each development phase. Check out the artist rendering for the entry plaza off 155th and Westminster. 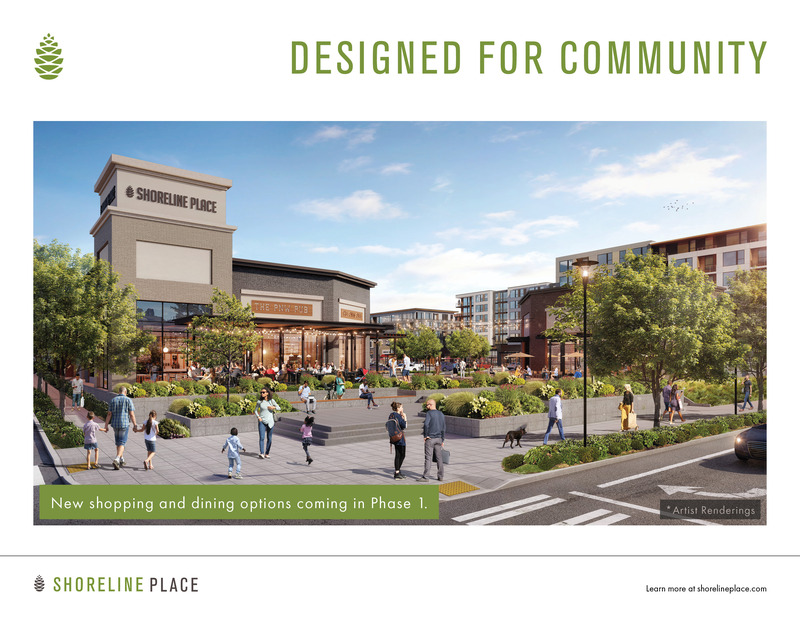 This first phase will bring new shopping and dining experiences to Shoreline Place, complete with comfortable outdoor seating. Released March 13, 2019. 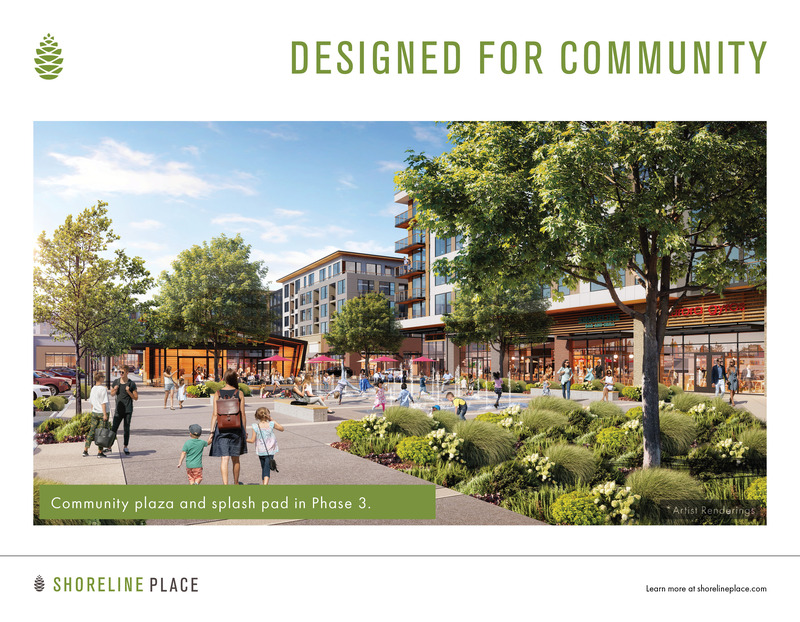 Check out the artist rendering for the Phase 2 Town Green and Dog Park. Perfect for community use like a sunny day picnic and kiddo playtime. Released March 13, 2019. Check out the artist rendering for the Phase 3 Community Gathering Space in the East Plaza. The old Sears building will be replaced with housing and retail, anchored by a series of plazas that could feature food and beverage kiosks, live performances, and the Shoreline Farmers Market. Released March 13, 2019. 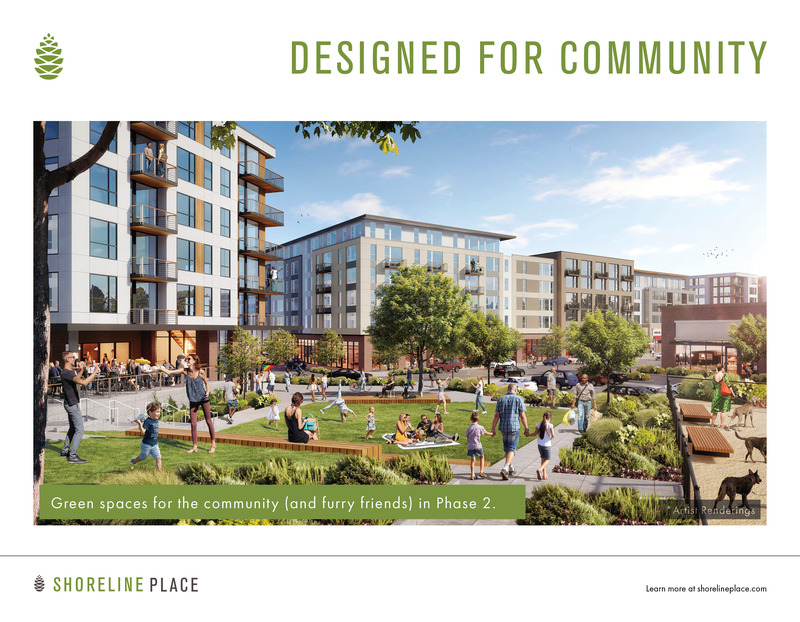 Check out the images that will inspire design for Shoreline Place housing, restaurants, and shops. Released August 18, 2018. These display boards tell the Shoreline Place story and describe where we’re headed. We shared them at a Community Meet and Greet at Shoreline Community College in March 2018. 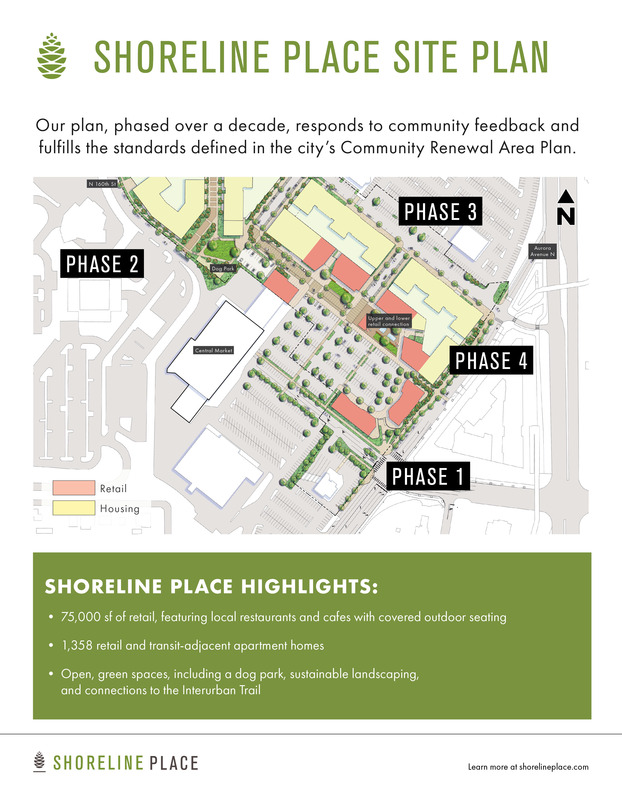 In 2018, we want to bring you along as we transform Aurora Square into Shoreline Place.